Our recent article A Healthier Way to Cook Rice prompted reader “Phil” to ask, would the same preparation also make pasta and potatoes healthier? The article detailed a method of cooking rice that increases the amount of resistant starch, which raises blood sugar less than regular starch. The answer is yes…but how much healthier is open to debate. Let’s take a 100-gram serving of potatoes—about three-and-a-half ounces. Boil it, and you’ve got 2.6 grams of resistant starch…baked, 3.1 grams…chilled (either baked or boiled), 4.3 grams—good news for potato salad lovers. Chilled and then reheated potatoes do pretty well, too—3.5 grams. The same holds true for pasta—cooking and then cooling pasta increases the resistant starch modestly. Does it make a difference? In a British study, people with diabetes who added 40 grams of resistant starch to their daily intake didn’t improve their underlying diabetes but did have a reduced blood sugar spike after meals—a healthy thing. Whether there’s any blood sugar benefit to taking in, say, an additional two or three grams of resistant starch in a meal, though, just isn’t known. So go ahead and enjoy your potatoes baked rather than boiled, and even better yet, cooled. But remember these foods already start with lots of easily digested, sugar-spiking starch, so cooking them in a way that boosts their resistant starch doesn’t turn them into superfoods. A baked Russet Burbank potato has a “glycemic index” (GI), a measure of how quickly it raises blood sugar, of 111—more than white bread. So cook it right, but don’t make it a daily staple—and add a healthful fat, such as olive oil, to further lower the GI. Pasta, on the other hand, already has a lower GI than spuds, because the way it’s made traps starch in a matrix that takes the body a longer time to break down into sugar. The GI range—30 to 60. So enjoy your pasta cooled in pasta salads…and if you like it hot, reduce its GI even more by cooking it al dente—slightly chewy rather than soft—and drizzling it with olive oil. In the end, though, what matters more is how much you eat of these delicious but high-starch foods. 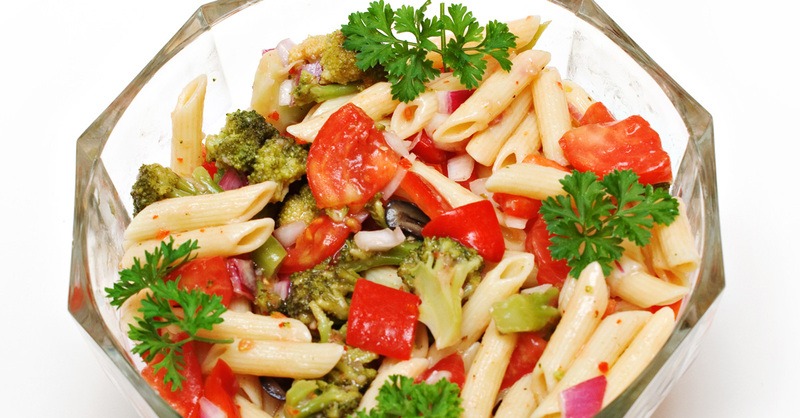 Want to make a really healthy pasta salad? Start with whole grain pasta for extra nutrition, cook it al dente, and use just one cup of cooled pasta with three cups of chopped nonstarchy veggies with your favorite dressing. Now you’re cooking. Source: Study of resistant starch content of potatoes by cooking method presented by researchers at the USDA Agricultural Research Service (ARS) Grand Forks Human Nutrition Research Center, North Dakota, and the University of Minnesota, Minneapolis and St. Paul, at the Federation of American Societies for Experimental Biology conference in Boston.